Throughout the world, the demand in animal protein, such as poultry meat and eggs, is increasing. That is why, LAPROVET decided to strongly commit with this sector and offers a wide range of solutions and a specialised technical support. In poultry industry, prevention relies on a quality vaccinal program to fight against the main diseases affecting chickens (Newcastle and Gumboro diseases, Avian infectious bronchitis, Fowl Pox, infectious Coryza and Egg Drop Syndrome Virus (EDS)). 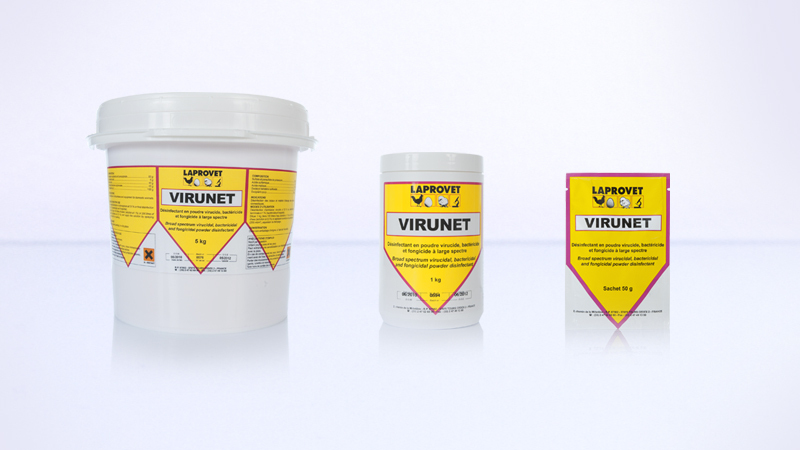 LAPROVET’s vaccines are manufactured in a certified GMP production site in respect of European standards, consequently assuring a very high quality level. 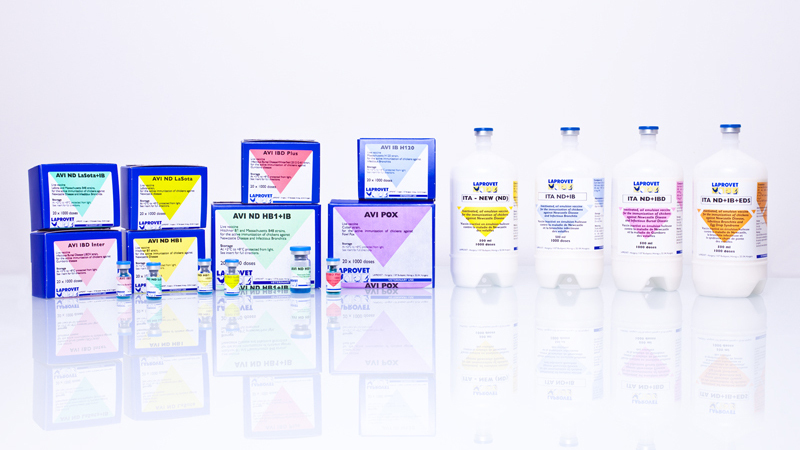 « AVI » products refer to live vaccines and « ITA » products refer to inactivated vaccines. With the choice in vaccine strains and in combinations in polyvalent vaccines, efficient and affordable (preventive) disease control programs can be developed. Sanitization is one of the key factors of biosecurity that should be totally controlled in the industrial poultry sector in order to avoid pathogenic pressure and therefore limit curative treatments. 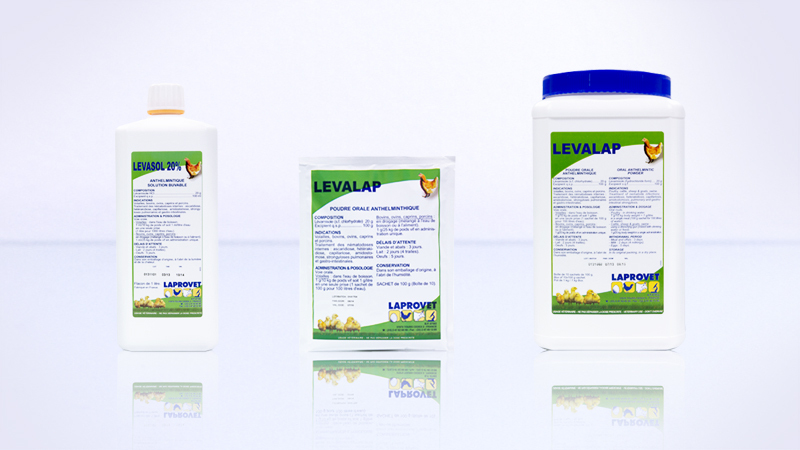 To assist the farmers, LAPROVET offers a complete prevention program with complementary disinfectants, with their efficiency tested against the most resistant germs in poultry industry. A range of drugs focused on internal parasites has been developed to fight against intestinal parasites. It is characterized by a selection of efficient molecules and an easy packaging to use in farms (LEVALAP & LEVASOL). Unfortunately, coccidiosis is still very frequent in poultry farms and curative treatments are required. One of the reasons of this trend is the lack of respect of biosecurity and farms management standards. 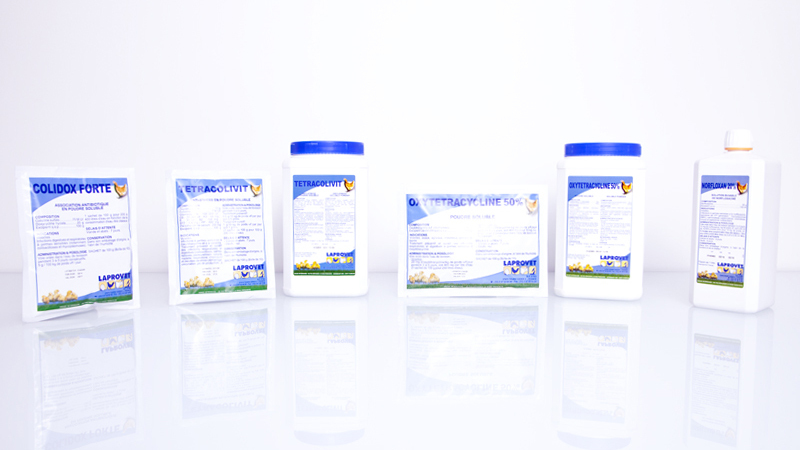 To treat this parasitosis which has significant economical impacts, LAPROVET offers various drugs to alternate in a program to make sure that there is no resistance emergence (ANTICOX, AMPROLIUM 20% & DICLACOX). 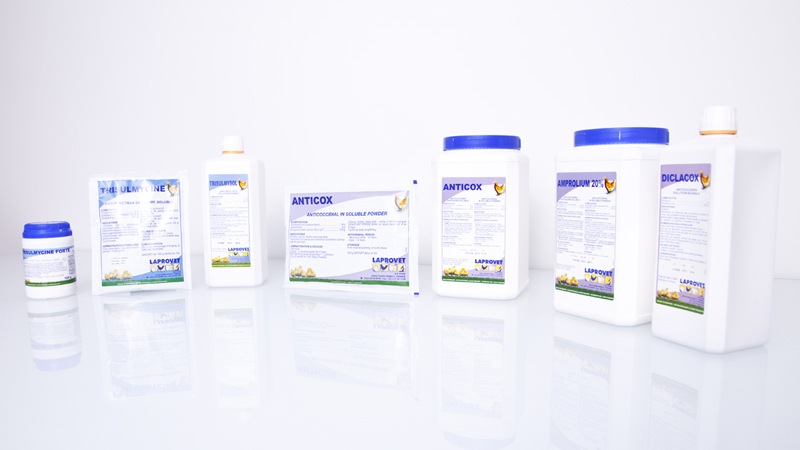 Avian anti-infective products are combined with specific excipients and presented in powder form to ensure their complete solubility in drinking water and a quick and efficient treatment of the major diseases affecting poultry farming. Thanks to the various anti-effectives drugs manufactured by LAPROVET, it is possible to fight efficiently against major diseases.